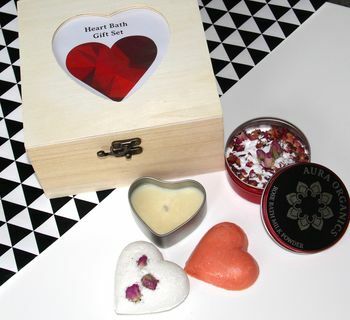 Bath set including bath bomb, bath melt, jar of bubbling rose bath milk powder and a massage oil candle. In wooden gift box. 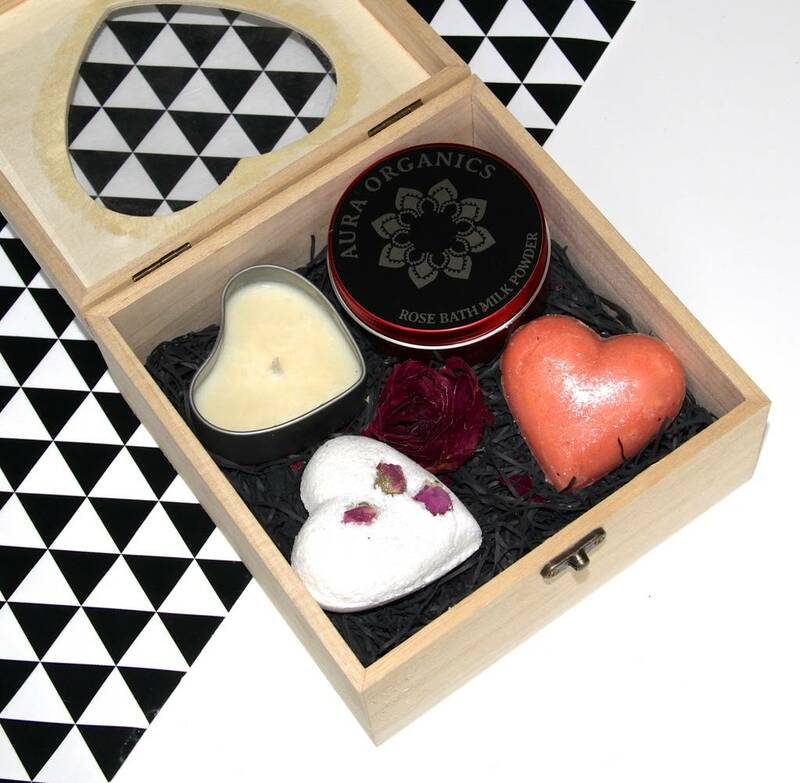 Massage oil candle contains eco soy wax, organic cocoa butter, organic shea butter and organic grapeseed oil. Scented wih rose, geranium, vanilla, patchouli and black pepper. 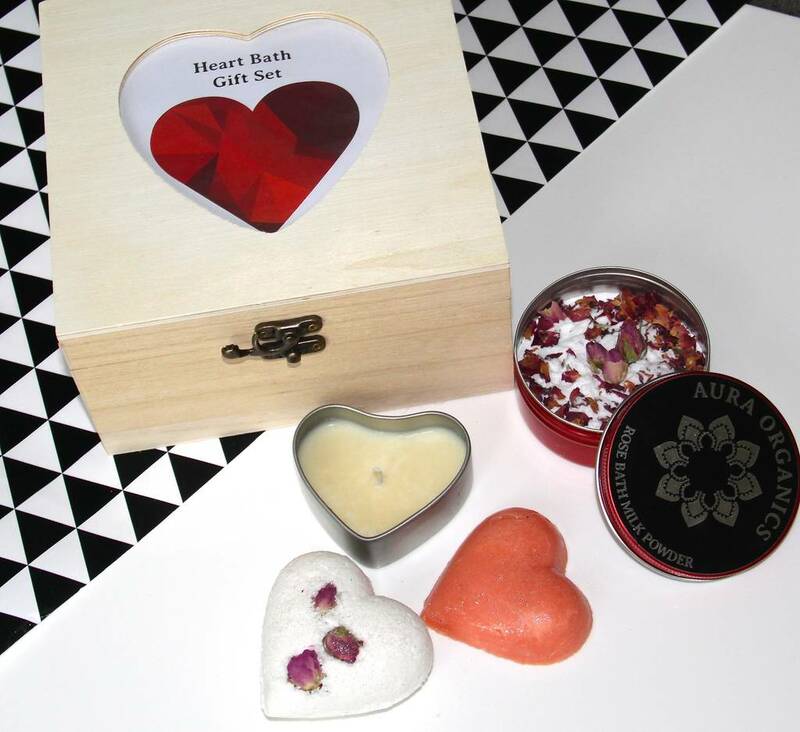 Balt melt and bath bomb are scented wit rose, vanilla, geranium and patchouli essential oils. 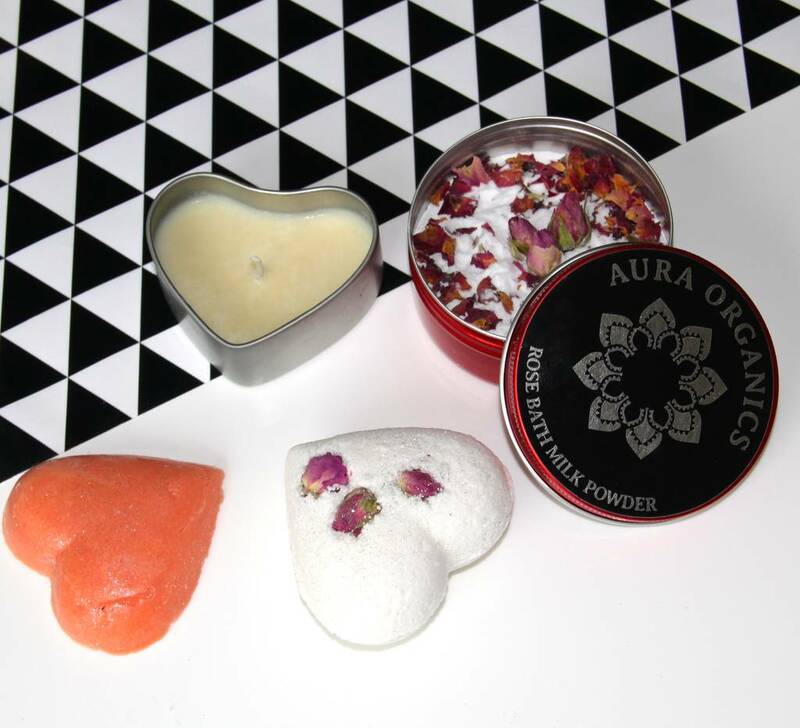 This product is dispatched to you by Aura Organics Cosmetics.